The massive health care overhaul and the endless stream of regulations it has spawned are poised to dramatically alter the nation’s health care system in 2014. One positive change that is certain to help millions of children is the recognition that regular comprehensive eye exams during childhood are essential to ensuring visual health and readiness for school. 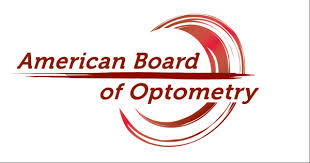 The American Optometric Association (AOA) is the only national eye health organization that Congress and federal agencies have heeded when developing a new requirement for health plans nationwide to cover eye health and vision care for children. 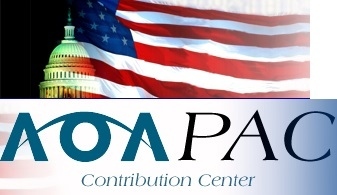 The AOA represents America's family eye doctors – Doctors of Optometry – and their patients, and has been working for years to inform government officials and the public about the urgent need for children to have greater access to annual comprehensive eye exams. · Your Child’s Coverage is based on a Comprehensive Eye Exam Provided by an Eye Doctor – The federal government has required states to define the new benefit as coverage for regular comprehensive eye exams, including all necessary follow-up care and, in almost every case when needed, eyeglasses and/or contact lenses. This coverage will be included in all health insurance plans sold within each state’s health insurance marketplaces as well as most new health plans sold outside of the marketplaces. Concerned parents covered by a health plan that is delaying a move toward this new market standard can join the AOA in urging their employer and plan to make children’s eye health care a priority now. · Your Child’s Coverage Extends through at least Age 18 – Consistent with the AOA's recommendation for children to receive a comprehensive eye exam within the first year of life and at regular Intervals thereafter, families may use the new coverage for children beginning in infancy and continuing through age 18. A comprehensive eye examination provided by a Doctor of Optometry, unlike a vision screening, is designed to consistently identify and provide follow-up care assurances for every eye health or vision issue that can impact a child’s overall development and achievement. · Your Child’s Coverage is Included in Your Health Plan – Unlike limited stand-alone plans that can be offered as add-ons to coverage but are not required, the new children’s optometric care essential health benefit will be included as a core benefit and embedded within the overall health plan. This approach provides the seamless primary eye health and vision care that children need. · Your Child’s Coverage Assures Direct Access to a Doctor of Optometry – Parents can directly access eye care for their children through their local Doctor of Optometry, both for early and periodic comprehensive eye exams and needed treatment. Just as families go directly to a dentist for oral health care, including primary and preventive services, the new coverage provides for visits to a family eye doctor to meet a child’s eye health and vision needs. In instances in which a health plan does not include the family’s favorite Doctor of Optometry in their network, concerned parents can join the AOA in urging insurers to modernize their provider panel by including more high-quality, highly-efficient optometrists to deliver essential eye health and vision care. For more information about eye health, the importance of regular comprehensive eye exams, the new children’s optometric care essential health benefit or to use the AOA Doctor Locator to connect with a Doctor of Optometry serving your community, visit www.aoa.org.